The Pavlok Shock Clock looks like a fitness tracking watch. It isn’t. It is much more sinister. This wearable gadget lives on your wrist and is paired with your smartphone. It can be used as an alarm clock to wake you up or an IFTTT script to deliver the pain. Pain in the form of an electric shock. 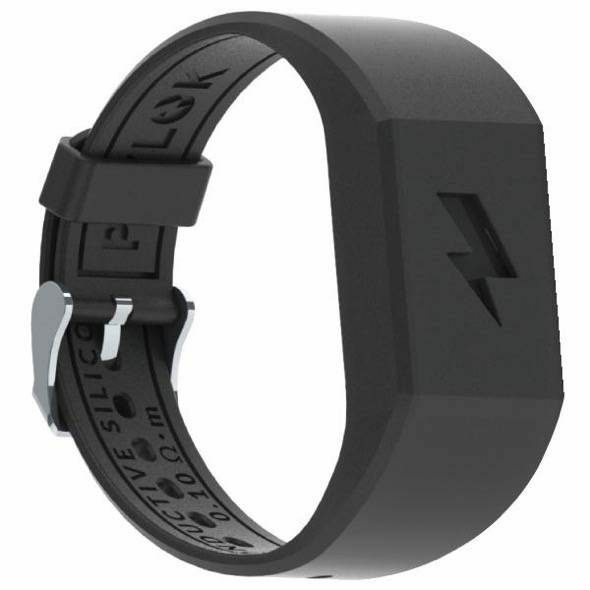 The “theory” behind the Pavlok Shock Clock is similar to Pavlovian association. Take a bad habit and pair it with a negative experience, in this case an electric shock, and in less than 30 days the bad habit will be replaced with a better one. I know, sounds crazy right? As if automated and timed shocks weren’t enough, users can manually shock themselves as well. Joy. The product sounds like something you would see as spoof product on an informercial but it is real. Read some of testimonials. After one day, I stopped eating refined sugar. Whenever I had a craving, Pavlok’s zap helped me get over it, and now I’m sugar free. I’ve been biting my nails for over thirty years.I tried everything — I bought that nail polish that tastes disgusting, nothing worked. 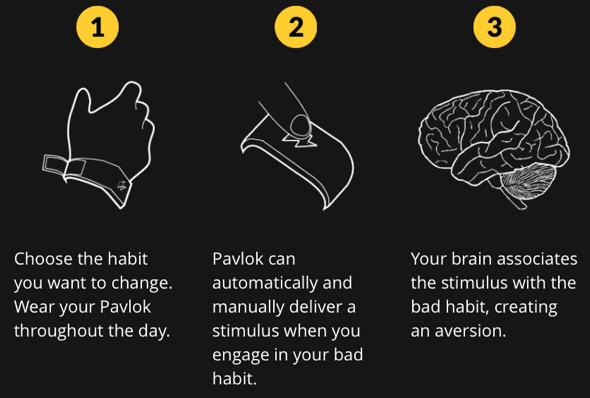 I wore Pavlok and, in just two days, I became so much more aware. I finally broke the habit, even though I never thought I would. I quit smoking with Pavlok. I don’t even enjoy it anymore. It’s exactly where I want to be.